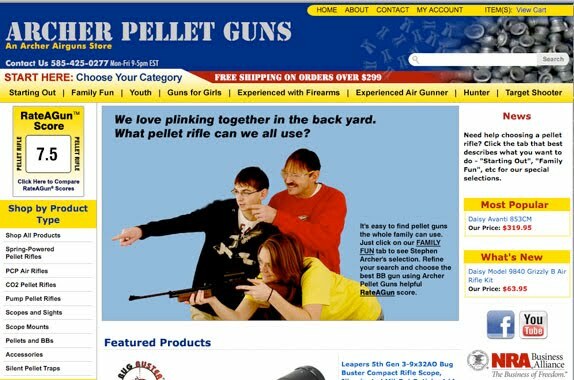 Archer on Airguns: ArcherPelletGuns.com - a new way to buy air rifles! ArcherPelletGuns.com - a new way to buy air rifles! Just launched today is the new Archer Airguns store, archerpelletguns.com. Our new store carries a full range of air rifles, scopes, pellets and accesories. It's also the home of the RateAGun(TM) score, the best way for a new pellet rifle purchaser to choose the gun that's best for them. Every air rifle on the archerpelletguns.com site carries a RateAGun (TM) score. 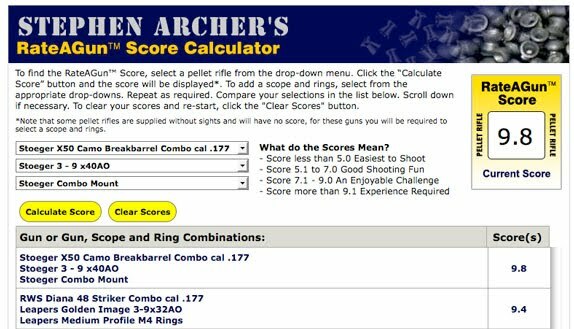 This score is designed to help newcomers to our sport make the best choice in their new pellet gun. A low score means the gun's easy to use. A high score doesn't mean that the gun is bad, but it does indicate that some special skill or knowledge may be required to shoot it well. The RateAGun(TM) score is the first time that anyone in the airgun industry has produced such a comprehensive system of guidance for new shooters and I hope that it will be useful. And there's an on-line RateAGun(TM) score calculator that allows a huge number of air rifles to be compared, both with and without scopes. Just adding a suitable scope makes a significant improvement to a gun's RateAGun (TM) score. Try it and let me know what you think! You can post comments on this blog, or on our RateAGun Facebook page. Of course, our specialist www.archerairguns.com store continues as the premier on-line location for QB78 family and Stoeger air rifles.